Facebook has been violating its users’ privacy for years. This is why many privacy watchdogs have been keeping a close eye on them. And while they were examining Facebook’s data policy, they discovered that Facebook will keep collecting your data when you deactivate your account. Facebook has a rather careless attitude toward privacy regulations. Their privacy scandals have been building up over the past couple of years, and Facebook has gotten into some serious trouble because of them. Just to name a few scandals: Facebook has stored users’ passwords in a readable format, sold users’ data to third parties, collected users’ data via their VPN, enabled Amazon to gather contact information, and given large companies such as Netflix and Spotify access to users’ private messages. Facebook has violated the privacy laws of many countries and had to show up in court on several occasions. Facebook is even able to collect data from people who don’t even have a Facebook account. They do this using something called ‘Facebook Pixels’, as well as the ‘share’ button that many websites have. All this is why many people don’t trust Facebook anymore. The best way to prevent Facebook from collecting your data is by permanently deleting your Facebook account. When you do this, Facebook will give you 30 days’ time to reconsider. During this time, they are still able to collect your data, so keep that in mind. But even when you have no Facebook account, your data can be collected. In order to stay completely anonymous and safe online, you can use a VPN. 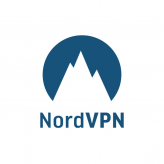 A VPN will provide you with a different IP address. This way, websites won’t be able to trace the collected data back to you. Keep up with the latest privacy news on our blog!